Seeking a luxurious Mexican retreat? Hacienda Tres Rios is where the Mayan heavens meet the earth and the rivers and sea converge before your very eyes. Located just a few miles north of Playa del Carmen, Riviera Maya, the Hacienda Tres Rios is not your standard all-inclusive luxury hotel. Opened in November of 2008, the hotel was built on 326 acres full of natural resources in a way that actually protects the environment more than it harms it. But this does not mean that families staying in one of the eco-friendly hotel’s 273 guest rooms will be roughing it by any means. Instead, they will discover great service, amazing culinary opportunities, relaxing spa retreats and tons of fun activities all while enjoying the natural beauty that the YucatÃ¡n provides. Before construction on the resort broke ground, a team of researchers spent more than two years analyzing the land, mangroves, wildlife and other geographical aspects of the resort’s acreage. Formally referred to as the stage of Environmental Characterization and Analysis, this period of time helped scientists and contractors work together to formulate the best way to begin construction. Simply, the goal of the Hacienda Tres Rios management was to build the hotel in a sustainable way. Various studies indicated that certain locations were more damaged than others and thus had a lower environmental value for the thriving eco-system. Since these plots had been destroyed by hurricanes or other natural disasters, it would actually serve the environment better to have man-made structures built on them. Once the area for construction was selected, the main building of the Hacienda Tres Rios was purposely built 2.8 meters above the ground. This allowed the natural water flow and animal migration patterns to continue uninterrupted. Additionally, all pieces of the hotel were constructed off-site and then transported to the resort for assembly, which reduced pollution, noise and dust. Finally, all endangered forms of plants, as well as flora and fauna on the construction site, were relocated to a plant nursery on the premises. And of course, daily functions in place at the Hacienda Tres Rios are very “green.” To conserve energy, cold water is extracted from the earth and used to pre-chill the air conditioners. Then the heat that comes from the air conditioners is captured and then reused to heat the water. Modern showerheads that aerate the water also help reduce the amount of water wasted. Additionally, all guestrooms are equipped with motion-sensors that turn off lights and air conditioners if the guest is not in the room. To conserve resources, the hotel also uses recycled water that is treated on-site to irrigate plants. Knowing that more than 250 environmental protection programs are being run on site might make a potential guest wary that services will be lacking. But, it shouldn’t, because even though the staff of the Hacienda Tres Rios is incredibly proud of their conservation efforts, there is no skimping on luxury. Stay in one of the hotel’s 273 suites; each is spacious and even the standard room (645 square-feet) is big enough for a family of five, with two queen size beds and a pull-out sofabed. Each room has a view of the ocean or the fresh water canals and also has a private balcony or terrace, plus free WiFi. With a dÃ©cor inspired by a blend of modern Mexico and traditional hacienda style, marble graces the floor, local mahogany accents the furniture and 300-count Egyptian linens provide a sound sleep. Larger suites with a full kitchen and connecting rooms (some even have a Jacuzzi on the roof for a romantic evening!) are also available. The kitchen might not be necessary as guests are welcomed to eat at any of the hotel’s seven eateries. All under the direction of Executive Chef Oscar Orbe Quiroz, each restaurant offers families a unique assortment of flavors and choices. 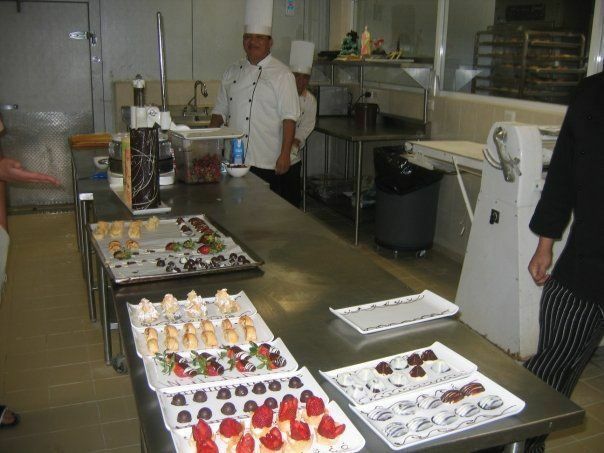 Breakfast and lunch buffets are served daily at the casual international buffet at the Casa Las Islas. Outside by the pool, families can enjoy deli food at the Hacienda Grill or munch on the brick-oven flavorings at the il Forno Pizzeria. Freshly baked breads and pastries and espresso are also available at the Patisserie CafÃ© de Paris. Kotori is the Asian-fusion eatery that features sushi and Thai food. At Porto Bello families can enjoy Italian food in a formal setting. (Note both Kotori and Porto Bello share the same space, thus only one restaurant’s menu is available at any given day. Make sure you get the restaurant schedule upon checking in). 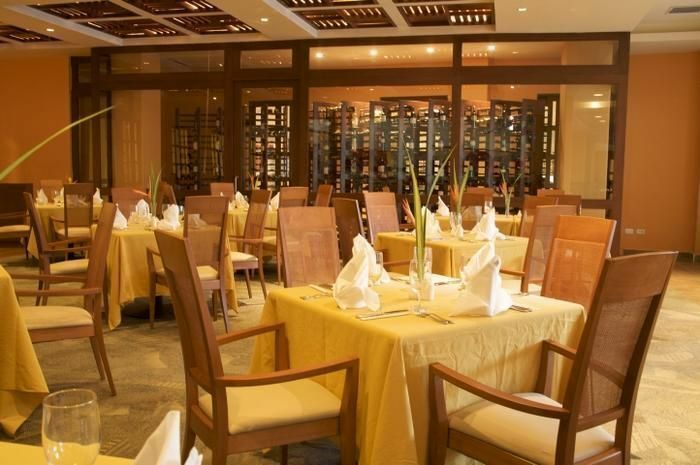 Finally, the flagship restaurant is the colorful El Alebrije where, as they listen to live performances by a traditional Mexican band, guests can sample the delicious and healthy cuisine of the Maya and Mexico. If your family is interested in learning about the inner working of the Hacienda Tres Rios’ kitchen, they can inquire about the cooking lesson and demonstration presented by Chef Oscar on the Martini and Tea-time Terrace. And once the kiddies go to bed, parents can hang out in at the Victory Sports Bar/Agave Tequila Bar, where they can enjoy a Tamarind Margarita or do a tequila tasting with the hotel’s tequila expert, Angelica Martinez. Guests can also treat themselves to the 24-hour room service menu that, along with all other food and drink, is included in the hotel’s all-inclusive Endless Luxury package. Also included are unlimited excursions in the resort’s Nature Park. Of the property’s 326-acres, 150 (nearly half) will be left untouched so that the natural eco-systems may flourish. 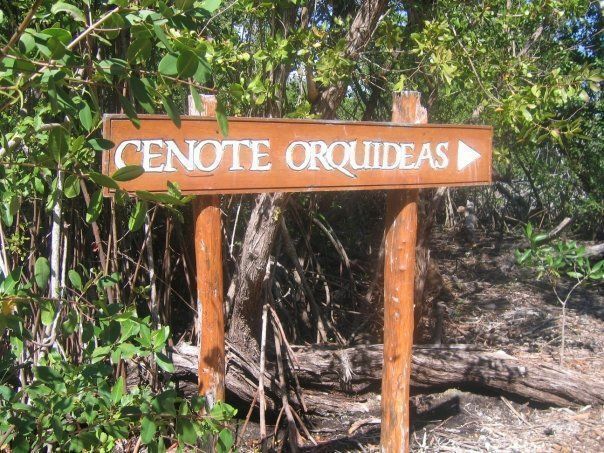 And it is the only resort on the YucatÃ¡n that contains three distinct eco-systems: jungle, mangrove forest, and coastal dunes. Featuring 90 animal species, 120 plant species and three rivers (tres rios), there are many ways to experience the beauty of the park. 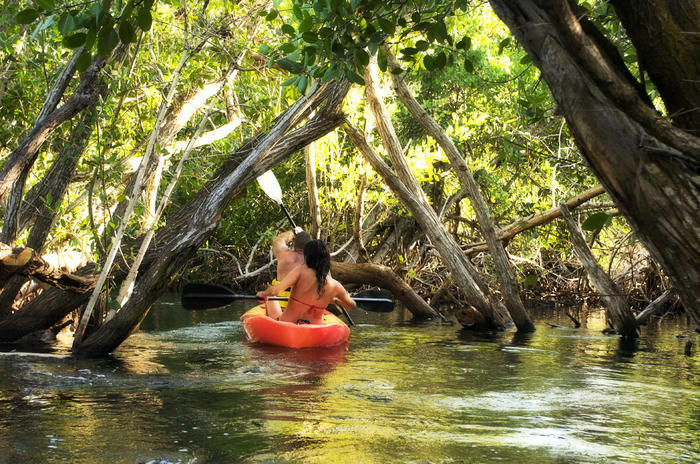 Guests can snorkel and swim down the Rio Selva, kayak on the Rio Pajaros, bike through the grounds or even get an interpretive guided walking tour with a botanist. Kids will love the opportunity to replant mangrove that have been damaged by hurricanes or snorkel the reef just off the one-mile stretch of seacoast. Check out the Botanical Garden and Nursery to learn more about all of the protected species of life that can be found on the grounds. But the most sacred way to truly experience the nature would be a swim in the Cenote Ãguila, one of the 10 that can be found on the property. Led by a guide in a kayak, groups are given a floatation device to wrap about their waists and then they simply float down the cold, fresh-water stream. In ancient Mayan legend, cenotes, spring-water-filled sinkholes formed by collapsed limestone bedrock, are thought to nurture human life. They are a connection to the underworld and immersing in one cleanses the soul. The float down the cenote ends where the fresh water meets the ocean; afterwards, guests can dip in the warm seawaters and then head back to the pool. The Nature Park is still in developmental stages. Coming soon will be a Mayan Cultural Center, an educational museum that will celebrate the cultural aspects of Maya. Included in the center will be a typical Mayan pueblo or house, a garden of organic fruit and vegetables, as well as a milpa or cornfield. Other future additions will include a canopy tour and a Reserva las Garzas, the bird sanctuary. And although there are a ton of activities for the family in the Nature Park, there are plenty of things back at the hotel. Included in the Endless Luxury Package is a supervised club for kids and teens as well as other daily activities for the entire family. Open from 10am-2pm and then 3pm-5pm, the kids club offers a wide variety of fun-filled programs. Kids can create masks, watch movies, play water games at the Mini Olympics, color or paint, participate in a treasure hunt or complete eco-puzzles. Also, upon check-in, make sure you receive the weekly family activities calendar with events organized by the Moments Creation Staff. Everyday from 7:30am-7pm, there is something going on. Head out for a morning jog down the beach, do yoga and meditation, play bocci ball or beach volleyball or take a Spanish class. There are also educational opportunities where guests can learn about the history of Mexican and Mayan culture or the importance of the environmental conservation. While the kids play games and do arts ‘n’crafts, adults can participate in wine tasting and cocktail-making lessons. Or if a lazy day in the sun sounds more appealing, head to the beach or one of the two swimming pools. With a wait staff taking orders, food and drinks can be brought to your poolside chaise longue. Before you pick your spot around one of the organic-shaped pools, make sure you scout out the nearest restroom. Since the area is so large and was purposely constructed around the river as to not interrupt its flow, a family might find themselves with quite a walk to the nearest facility since there are no direct paths. The pools are open from 8am-11pm daily. Need more relaxation? Mom and dad may want to splurge and spend some time at the Ya’ax Che Spa, a 13,900-square-foot facility that lives by the Mayan philosophy that all are connected to each other and nature. The goal of each relaxing, refreshing and rejuvenating treatment hopes to restore balance within the body in order to discover harmony of the mind, body and spirit. The spa also offers the Mayan purification temazcal, an ancient and traditional Mexican sweat bath. This experience takes place out of the spa in a specially constructed Nahuatl hut nearby the resort’s sacred cenotes. It may appear that the Hacienda Tres Rios has it all, but believe it or not, this hotel is only the beginning of the Tres Rios Master Plan and brand vision. Based on a concept that is guided by the three fundamentals of nature, culture and experience, Tres Rios’ goal is unification: Mexico and Maya; past and present; traveler and nature; soul and body. 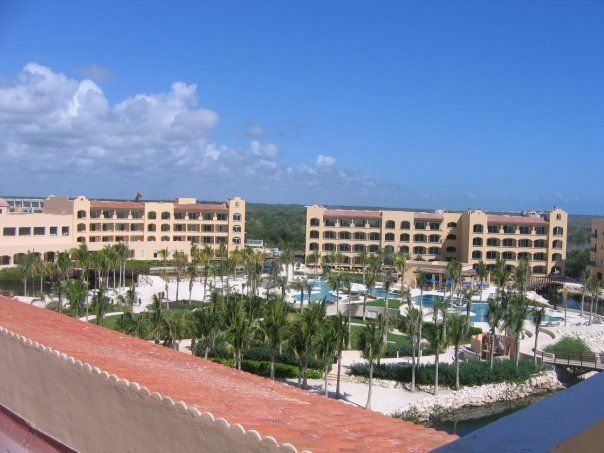 And the hope is that once construction is complete, the entire Tres Rios property will consist of five hotels (including Hacienda Tres Rios) with more than 1,700 units, some of which will be permanent residences. 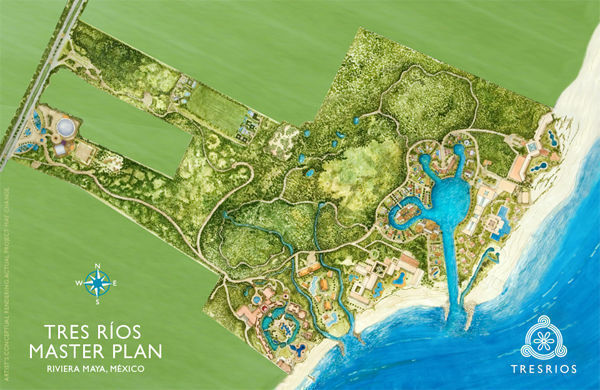 In addition, the Master Plan (which may change as ecological patterns alter and further studies are completed) also calls for a marina, beach club, equestrian center, an expanded premium spa and convention center. The hotel features an Exit-Lounge for guests that have checked out but still have time before their flight. If you are looking to spend big time, inquire about the hotel’s uber-luxury possibilities: private yacht and jet rentals, as well as fishing and horseback riding tours. (Not included in the package). Prev Article Prev Article Are Foursquare’s Mayors Doomed?